Vintage suitcases, black leather chairs, and antique sewing machines help one reminisce of his/her own home in the woods. Aligned side by side like military soldiers, planks of wood serve as homey decoration for the walls, ceiling and floor. On the right, spools of Japanese denim show off their blue hues, and rich browns and honey colored picture frames fill the space from the front door to the back workstation where all the magic happens. One could say that Traveller Denim Co. is missing only two things — a fireplace and some hot chocolate. Founded by two film enthusiasts Selenia Rios and Erik Untersee, this little shop sits cozily on 1403 Chestnut Ave. in East Austin. Rios, from Austin, and Untersee, from Los Angeles, met on the set of a Ben Kweller music video — Untersee as a grip and Rios as a stylist. Although their mutual passion for film inspired their partnership in designing kitchens, the two eventually moved on to create custom jeans from raw denim, a service they believe gives something more ‘authentic’ back to customers. “People don’t realize that we spend a lot of money on jeans because they’re an everyday part of our lives. Because of this, we wanted to offer a service where you can get spend just a little more on a pair of jeans and get exactly what you want,” Rios says. From this principle, Traveller Denim Co. was born in June of 2013. The duo partnered with a private investor from Texas Film and Light to help them start their jeans business, and Untersee, who used to be a carpenter and framed the shop in wooden planks himself, connected the process of building structures to constructing custom jeans. “We use a lot of old school construction techniques that people don’t use anymore because it takes more time,” Untersee says. 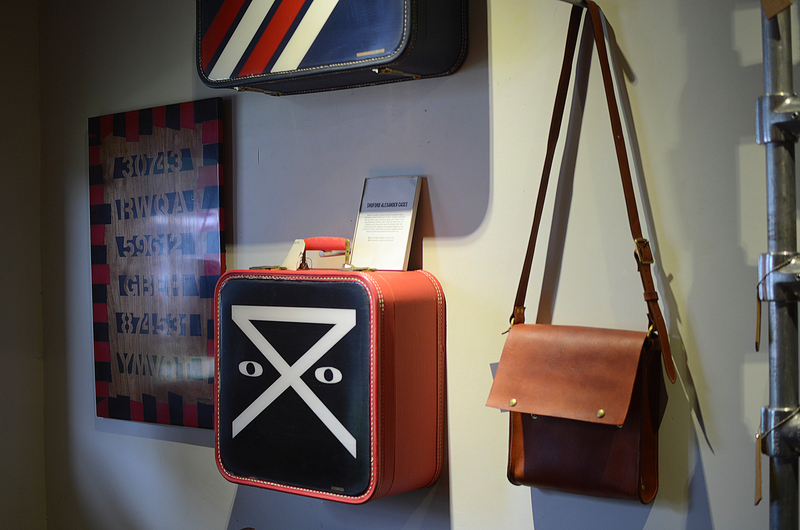 Traveller Denim Co. works with old, vintage sewing machines and mills from North Carolina to create the custom jeans. 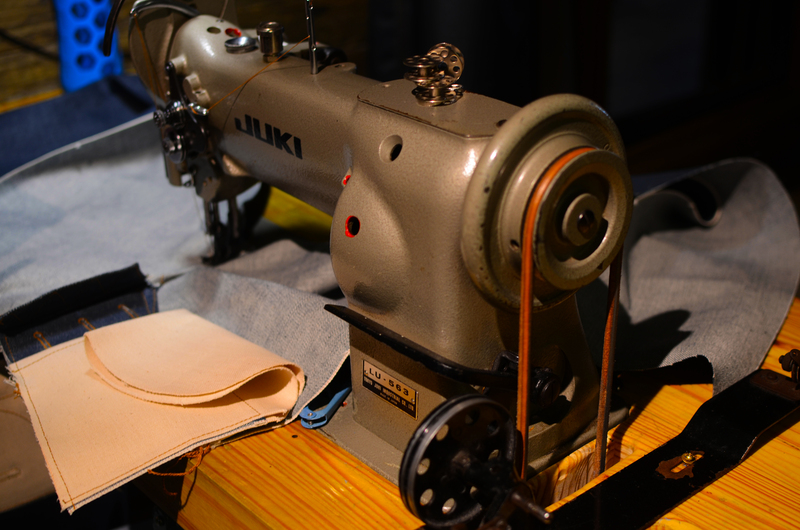 The selvedge denim comes mainly from Japan, and all of the jeans are hand-made in the store. “As these jeans get older, they take on your character. There are imprints on my knees, an imprint of where my wallet is in my back pocket, and an imprint of my knife in the front pocket,” Untersee says. To vouch for the jeans' durability, Untersee has been wearing the same pair of Traveller Denim Co. jeans for the last few months. “The truth is, denim looks better with age, and people are trying to emulate the age raw jeans give,” he adds. Customers have the ability to pick their own denim, rivets and buttons before the jeans are made for fitting. A customer usually undergoes two fittings (although more can be conducted) and ones pair of jeans takes about one week for completion. 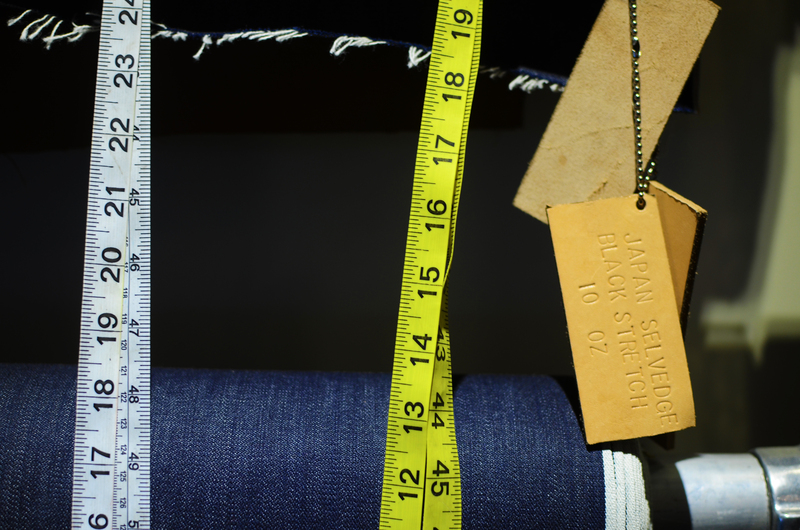 “Each customer becomes part of the process because they put their own mark on the denim. People forget that good jeans give you that confidence you need," Rios says.